But It’s Football . . . It’s College Football . . .
My sophomore year in college, I shared a dorm suite with several friends. One Saturday, a week or two into the first semester, I rose early, showered, and dressed. I was filling a flask (of, um, water . . . yeah, of water) in the shared bathroom when one of my suitemates stumbled in, bleary-eyed. I finished what I was about and gave him his privacy. Two more friends staggered into the hall, just up, unprepared. He shrugged. He just shrugged. I had never considered the possibility, nor could I wrap my mind around the concept, that a college student without pressing matters would not go to a college football game played at home. Now, I’m a reasonably smart guy. I love to read, and have done so widely and deeply. I’m somewhat more than a history “buff.” I ponder and consider, probably too much for my own good. Yet a large part of why I wanted to go to college (as opposed to why I knew I ought to go2) came down to attending college football and college basketball games, for free, on a regular basis. We take our college football way too seriously in the South, and we don’t take education very seriously at all. I have long wondered, then, how many Southerners down through the years have been suckered into higher education much as I was – by falling, at an early age, for the splendid pageant of the game and all that accompanies it. Other than the voices of loved ones, my favorite sound is the right mix of the following: the snap and thump of a drum line, the swell and ebb of a crowd’s open-air cheers, the bark of signal-calling, the grunt and smack of blocking and tackling. The 2012 college football season started this past weekend. We need it, we fans of the game; we need the drum lines and the blue skies and the brutal precision, the tactical artistry, of the game itself, after an offseason that has pummeled both us and the myths that the game accrued to elaborate and justify its primal truth, that it is useful – if not downright needful – to outsmart, outrun, and/or overpower those who would oppose us and ours. 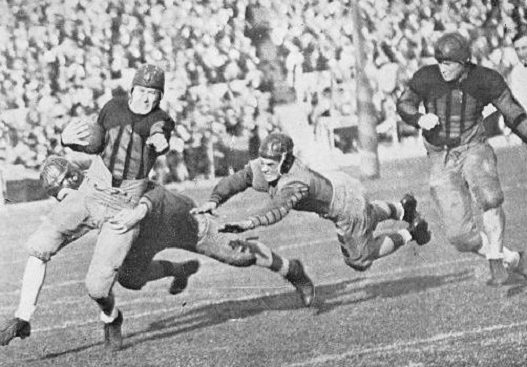 I can’t imagine that John Heisman or Pop Warner or Amos Alonzo Stagg imagined that football would become the cultural behemoth it has become, but I suspect that the “culture” of football, the one that the NCAA has now decided to decry, the one that’s getting the blame for the cover-up at Penn State, was in place before Teddy Roosevelt became president. To play the game – not just well, but without getting maimed on the first snap – requires such dedicated practice and focus, so many hours of physical training, so much strength and speed and aggression and bravery, that the game becomes the world entire to those who play and coach it. Nothing else is as important or worthwhile. Surely, nothing else in the South is as important and worthwhile as college football, right? Hasn’t that become the commonplace? Isn’t the proof in the BCS trophy, which has spent the last seven years in one ex-Confederate state or another?4 That sort of sustained dominance makes it hard to argue that, to paraphrase the t-shirt, we don’t do football better in the South, which makes it hard to argue that they don’t care more about it in what was once the Old Southwest than they do in what was once the Old Northwest. That notion has a nobility to it, and a truth. My own grandfather, who started laying brick when he was 8, told my father once that, after going home from school to work construction all his life, going to football practice was like a vacation. Bragg is far from the first to make this argument (or tell this story? or spread this myth? ), and neither he nor those who came before are wrong. They are, however, not entirely right, in the sense that the story is still incomplete. It’s too easy, chalking up another piece of Southern culture to “because we lost the War,” when maybe we fought and lost the War because of that Southern culture, in the first place. It lets us off the hook, retroactively and actively: we got back our lost pride, we showed them Yankees, by whipping ‘em in football, instead of in education, income, health or quality of life. It’s the kind of answer that raises more questions, because once you drag in history, once you go beyond “we love it because we win a lot, and we win a lot because we love it,” you stare into a rabbit hole that goes way, way down. Why football? How much of our love for it came from beating the Yankees at their own game, and how much from our own warlike predilections? 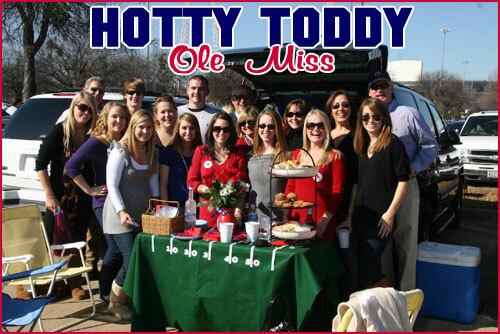 Is tailgating in the South the spiritual descendant of the picnic at Twelve Oaks, or just a function of having warmer Novembers? Does it mean anything that the combat simulacrum of football came about not only within living memory of the Civil War, but as the American frontier finally closed? If it does, what does that mean for the South, where isolation and invasion froze frontier attitudes in place for a long, long time? Is the Deep South really – I mean, really – more football-mad than western Pennsylvania or central Ohio, or Oklahoma, or Nebraska, or Michigan? Or is more just made of it, in part because of the SEC’s remarkable run, and in part because it fits into preconceived notions and narratives about the Deep South? Do the young men of the South draw on a “long history of not being afraid,” or on a long history of being very afraid, of having so very much to be afraid of – of the wild and primal land itself, of the Chickamaugas and Creeks, of slave revolts, of Stoneman’s Raid, of your own bushwhacking neighbors, of duels and blood feuds, of droughts, of carpetbaggers, of the company men, of the subjugated millions you’ve wronged and wronged again, of lynchings, of forced deference, of overcrowded prisons, of no hope – so that all you have in this world to stand on are cunning and strength and pride, and the savage prayer for God to join you against the foe? I thought about none of that this weekend, nor will I next weekend, not when I’m in front of my TV and not when I’m in the stands. I’ll think about the merits of the 3-4 defense and why the O.C. keeps calling that delayed draw that never works. I’ll think about being 16 again, or how I wish I hadn’t been so Ichabod-skinny when I was 16 the first time, or about how much fun it would be to be twice as big and twice as fast and half as old as I am now, like those kids out there on the field. I’ll think about having another hot dog in the third quarter. I’ll think about staying up late to watch a Pac-10 game. It is football, after all; it’s college football. 1 I went to college in the olden days, before every game in the country could be found on cable or online. I’m so old, in fact, that the radio my friend listened to probably had an actual dial. 2 At the time, I thought I ought to go because I’d get a better job, because I’d have more earning potential, and – mainly – because my parents wanted me to go. 3 Wake Forest University is the smallest school – by a substantial margin – in the six BCS “Automatic Qualifier” conferences. When I was there, I was one of about 2800 undergraduates; schools like Michigan and Ohio State have more students currently enrolled than Wake Forest has alumni – ever, living and dead. Despite Jim Grobe and the 2006 ACC Championship, the Demon Deacons still have the lowest winning percentage of the AQ teams. I’m still Proud to be a Deacon. 4 Since 2005: Texas, Florida, LSU, Florida, Alabama, Auburn, Alabama. (The last 6, you’ll notice, are all from the SEC.) Confederacy, hell; the BCS title hasn’t left the Gulf Coast in 7 years. 6 Actually, they whipped the University of Washington (as in the state), who don’t really qualify as Yankees, and they beat them by one point, which doesn’t really count as “whipped.” The bigger victory was over the derision and low expectations. A great piece. Continually switching gears and refusing to accept easy answers. And, it has terrific footnotes. Very well done. I missed one home game in my four years at Florida State, and it was to attend my girlfriend’s sorority formal at UGA. Pretty good excuse, I think! Good god, you can write.